Grape alcohol distilled from fruit wine, typically a grape wine. 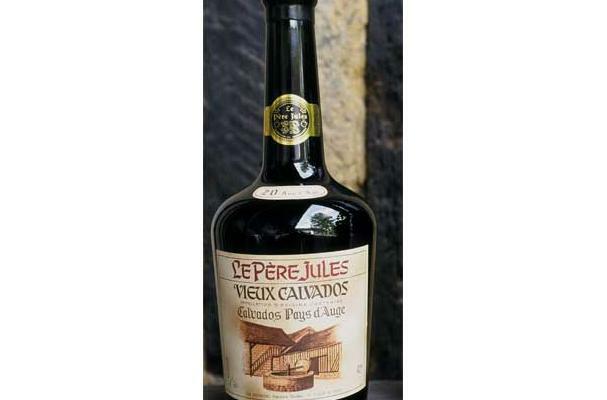 It is usually aged in oak barrels, giving it a brown hue and deeper flavor. Brandy generally contains 35%–60% alcohol by volume and is typically taken as an after-dinner drink. While some brandies are aged in wooden casks, most are coloured with caramel colouring to imitate the effect of such aging. No aging: Most pomace brandy and some fruit brandy is not aged before bottling. The resulting product is typically clear and colourless. Single barrel aging: Brandies with a natural golden or brown color are aged in oak casks. Some brandies have caramel color added to simulate the appearance of barrel aging. Solera process: Some brandies, particularly those from Spain, are aged using the solera system. Buying: Brandy can be bought through almost any retail liquor store. There are micro distilleries now, that sell retail in some states. They would include fruit based brandies and flavored brandies. Procuring: Produced by distilling wine, the wine having first been produced by fermenting grapes. Brandy can also be made from fermented fruit and from pomace. In cooking, flavoured brandy is good when added to desserts, such as cakes and pie toppings, further enhancing the flavor of the dessert. Flavoured brandy is also commonly added to apple dishes. It is a common deglazing liquid in making pan sauces for steak and other meats. As a beverage, it can be served neat or on the rocks. It is added to other beverages to make different cocktails. Well-aged brandy is often best enjoyed on its own. A high-quality brandy should be stored and served at room temperature. Brandy is a drink meant to be savored and enjoyed. It is most often served in a snifter and is often served as an after dinner drink. History: Origins of brandy is linked to the development of distillation. Brandy first began to appear in the 12th century and became generally popular in the 14th century.